The capesize market has kept enjoying a robust September so far with freight rates approaching the magical level of $40,000 pd (not seeing since 2011) for a round-voyage trip between Brazil and China. Given that rates were at about $5,000 pd in early June this year, the freight increase is phenomenal and most-welcome in an otherwise uninspiring shipping market, in general. The increase in the cape market has been triggered by China’s elevated iron ore mostly (and some coal) import activity over the same period. This time however, more of the imports (proportionally) were originating from Brazil than the previous mini-peak of the market earlier this year; Brazilian imports usually absorb three times as much capesize tonnage as Australian imports do due to distance, which explains partially the freight increase. It is not known yet whether the increased iron ore imports are purely for inventory replenishing purposes or due to increased iron ore production, as updated, reliable statistics are not available yet. This differentiation between end-production and stock piling in general is useful as the latter explanation equates to ‘stuffing the channel’ improvement. It is known that Chinese iron ore stockpiles have been maintained at the 20-day mark this year (about 70 million tons), while in the last few years that mark was at about 30-to-40 days of demand. Also, the price of steel plate at Chinese shores increased from about $100/ton in late May to $130/ton at present after briefly setting a recent high of about $140/ton. The recent rally in the cape market has not really spread proportionally to other asset classes in the dry bulk market, and the crude tanker market is definitely under renewed duress. The big question then becomes whether the cape rally is sustainable and it can be an inflection point for the shipping market. A recent article in Week in China, a Hong Kong-based insightful weekly publication about Chinese matters, about the steel industry got us thinking. Here are few major points: there are about 21,000 steel mils in China according to the Research Center for Chinese Politics and Business at Indiana University, ranging from the heavyweights like the state-owned, publicly listed companies like Baoshan Iron and Steel (Baosteel) to start-up steel makers. In 2012, about 715 million tons of steel was produced in China, and the industry overcapacity stands at about 300 million tons, for a total overall capacity of more than one billion tons per annum. This is not a typo, Chinese steel production capacity exceeds demand by 300 million tons per annum; to put this into perspective, the whole annual European steel production stands at 150 million tons presently, so China’s spare capacity is twice Europe’s annual production. Chinese steel mill utilization rate has remained in the 70-80% range in the recent past. [The European steel industry has tremendous overcapacity in its own right, in full disclosure, as capacity stands at 2008 levels of 200 million tons per annum]. 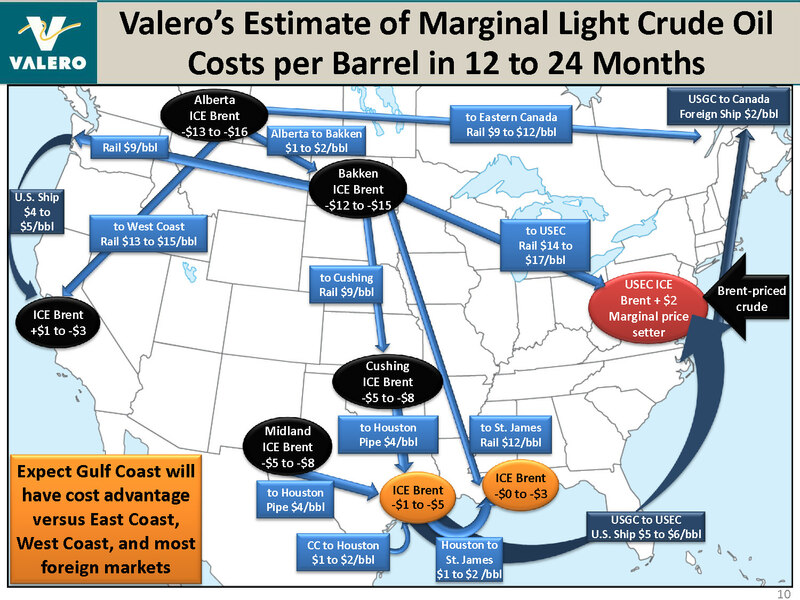 So, how an industry with 40% overcapacity (much worse than that in shipping, actually) and a low utilization rate (again, lower than in shipping) gets to make money? Glad that you asked! 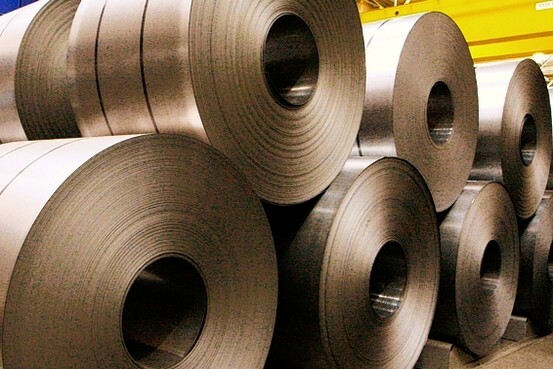 In an article titled ‘In a precarious state,’ Week in China reports that Chinese steel firms have run a debt tab of RMB 3 trillion (US$ 490 billion). About three-quarters of these loans are bank loans and in general have short maturities, usually less than one year, and thus they will have to be re-financed in the immediate future. Focusing on the established and most solid players, the largest 30 steel mills in China have outstanding loans of RMB 760 bln (US$ 125 bln). As we mentioned in previous posting, China’s ‘shadow banking’ is estimated at about US$ 2 trillion, so any way one slices the data, the steel industry has a significant share of it; some have argued that the steel industry may be of higher cause of concern than overstretched property developers and local government financing vehicles. A recent study by Morgan Stanley titled ‘China Deleveraging, Can the banks tide out a financial storm’, ‘Ferrous metal smelting & pressing’ is the most underperforming industry and by far the highest risk of concern to their lenders. Chinese steel mills, without any government subsidies, in general lose RMB 100 – 300 per ton produced (about $15 – 50 per ton.) All inclusive, the industry’s margin is as thin as 0.04%. Far from us being ‘dragon slayers’ (pessimists on China) and would rather side with the ‘Panda lovers’ camp (optimists on China); and, no-one said that Chinese local politics and statistics are always translucent and that China does not have the magic to surprise. However, it seems that the Chinese steel industry, the cornerstone of any sustainable cape recovery, may just not be the rock where great fortunes can be build upon at present. This entry was posted in Shipping Market Economics and tagged Baosteel, cape, commodities, construction, iron ore, overcapacity, shadow banking, shipping rates, steel industry on September 22, 2013 by Karatzas Marine Advisors & Co.. I find the great thing in this world is not so much where we stand, as in what direction we are moving – we must sail sometimes with the wind and sometimes against it – but we must sail, and not drift, nor lie at anchor. Oliver Wendell Holmes, Jr. 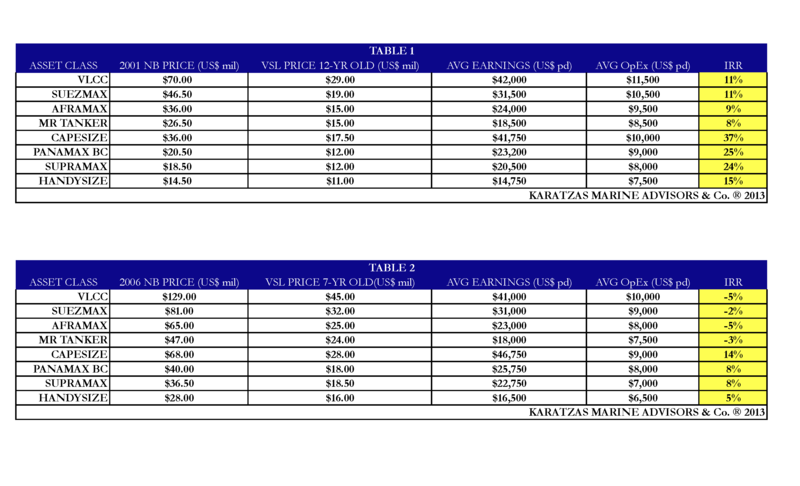 This entry was posted in Maritime History on September 21, 2013 by Karatzas Marine Advisors & Co.. Probably one of the greatest temptations and charms of the shipping industry has been its extremely volatile nature and mercurial reflections of the underlying economics of the trading cargoes and their own market dynamics thereof. In statistics, volatility is expressed as standard deviation, but it’s hard expressing shipping in terms of standard deviations when in the last decade, in the VLCC and capesize markets – allegedly two of the most volatile sub-sectors on the industry, spot rates have ranged from zero to more than $200,000 pd, with an average rate below $50,000 pd, depending on the time window used for the calculations. Besides the changing dynamics of demand for tonnage that can cause big waves in shipping, sometimes structural shifts in tonnage supply can have as much impact on successfully making bets. 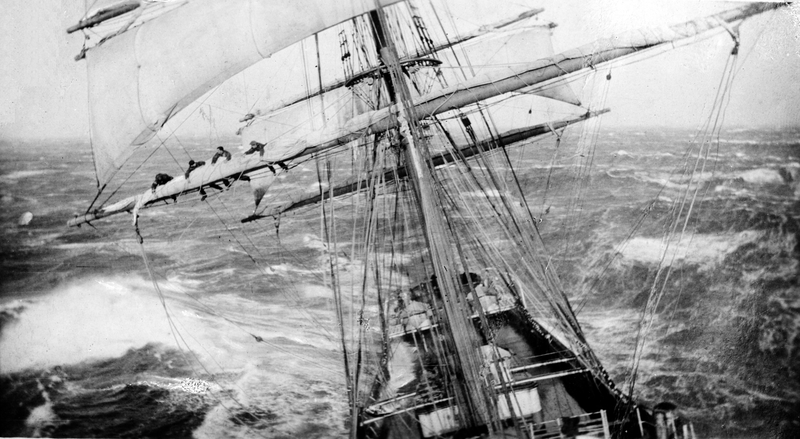 While we were re-reading recently ‘Last of the Cape Horners ', a book based on firsthand accounts of seamen sailing on the last voyages of full rigged vessels around the Cape Horn, south of the Land of Fire and through the Drake Passage, we were reminded that every so often shifts in tonnage supply have also been a great wealth creator (or destroyer) in shipping. and relatively small cargo capacity for their size and could ‘clip’ the waves. The clippers were the vessels of preference for the ‘grain race’ and ‘opium war’ trades with the East Indies, China, Australia and the colonies (the „Cutty Sark” at the National Maritime Museum in Greenwich, UK is an eminent sample of such vessels). The introduction of steam and the steamship of the industrial revolution forced originally the evolution and building of barques and windjammers (steel-hulled vessels with five or more masts and squared rigs) where cargo capacity maximization was more important than speed in an effort to compete with steamships. By the first decades of the 20th century it became obvious that the steamship was the way of the future. 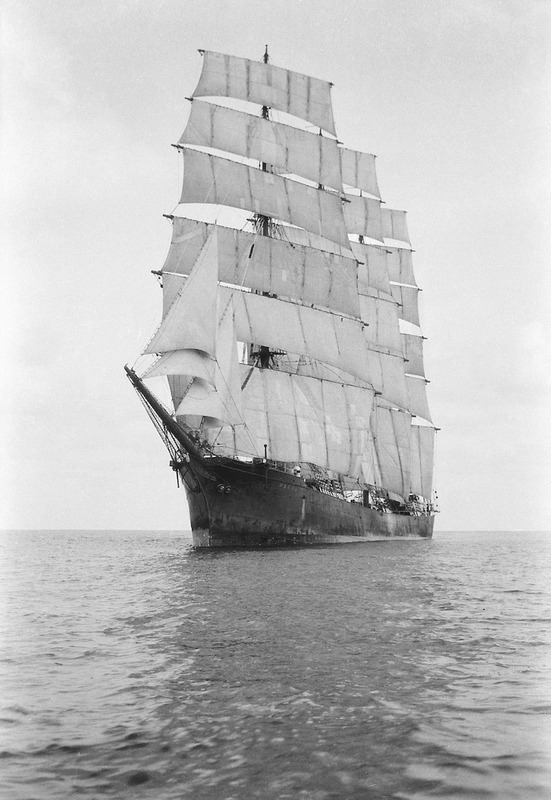 The technical obsolesce for sailing ships forced the sale of many of those vessels at scrap-related prices to ‘poor’ then Scandinavian countries (mainly, Norway and Finland) with maritime tradition; the windjammer „Parma” was sold in 1932 at scrap related pricing of $10,000 to Finnish buyers, but she made for them $40,000 profit in her first year of ownership. Fast forward several decades later, and the introduction of double-hull tankers forced many owners to sell their fleets of single-hull tonnage; the move was pronounced by the publicly traded owners who wanted to present early to Wall Street their environmental credentials, about fifteen years ago, and well before the ‘drop dead’ deadline of 2010. Most of these vessels were sold at scrap related prices, and their buyers (mostly independent Greek, Norwegian and Asian shipowners) made a killing when the market subsequently took off and there was little differentiation between single- and double-hull freight rates. The technical obsolesce of the single-hull tonnage was the fortune creator of many a modern shipping fortunes. Again, the successful bet had been on buying good quality, fairly modern vessels with the ‘stigma’ of the single-hull, and not primarily buying the brand-new, double-hull vessels at elevated prices (elevated due to increased demand as the ‘herd’ shift was taking on, and also improvements in the freight rate market). Since the collapse of freight rates in 2008, the mantra of the shipping industry (at least a section of it) has been about ‘eco design’ vessels and an ensuing program of heavy newbuilding (despite the continuous malaise of the markets). In our humble opinion, many of these newbuilding orders are not justified, and the main effect will be keeping the markets oversupplied for years to come; although this will eventually force out of the market ‘bad’ vessels (and there are plenty of them, even some modern of them from ‘greenfield’ yards), it will keep vessel prices depressed indiscriminately even for modern, quality vessels. There will be sharp and astute vessel operators and managers who would make a fortune from such vessels. This entry was posted in Shipping Market Economics and tagged barque, Basil Karatzas, grain race, Karatzas Marine Advisors & Co., opium wars, tall ships, tea trade, tonnage oversupply, windjammer on September 15, 2013 by Karatzas Marine Advisors & Co.. 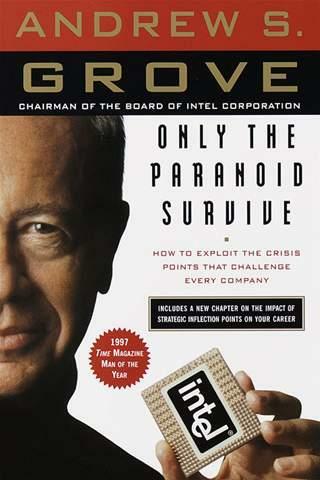 In one of the best business books ever written, in our opinion, ‘Only the Paranoid Survive ‘ by the former CEO and Chairman of Intel Andy Grove, the then young executive Grove is agonizing with Gordon Moore, co-founder of Intel and brilliant engineer (of the ‘Moore’s Law’ fame in the semiconductor industry), about the price war ensued by the Japanese in the DRAM memory chip business and Intel’s precarious position. It’s amazing how vested people become in a situation, whether job or company or industry. As long as one is on the ‘inside’, the never-ending cyclical path around the water well seems to be a purpose by itself. It takes often some stepping-back in order for one to get a better perspective of the right priorities, like Grove’s insightful question what would a new team with a clean slate and mandate do to solve a problem. Apparently both Grove and Moore had intimate knowledge of the company, the industry and the engineering behind them and the answer become obvious instantly; a new team may have to spend time on consulting reports, take more time, do their own analysis and possibly could never see the ‘light’. Shipping and maritime are integral industries in our every day lives, and no doubt they will remain important going forward. However, the dramatic drop in asset prices (compared to 2008 peak pricing levels) has induced a tremendous wave of newbuildings. It almost seems like a race to the shipyards (at least the ones that provide competitive pricing and lenient payment terms) to build more and more vessels in the mainstream markets; bit more fuel efficient than older vessels, bit bigger in cargo capacity within same asset class, bit better standards of workmanship than the ones from fresh yards a few short years ago. However, in our opinion, the amount in newbuildings is not justified by the market economics and demand for cargo. We run two basic scenarios evaluating historic returns on major asset classes in shipping: under the first, long-term scenario (TABLE 1), the vessels were bought and paid for at the beginning of 2001 and were held till present; purchase price and residual price are real (nominal) prices and freight rates have been the average freight for the whole period; operating expenses (inclusive drydock) are shown in the table herebelow for each category; also, it is assumed 60% mortgage on the vessels at 6% interest rate. The IRR is calculated for each asset class, and the returns have been ranging from single digit rates (MR tankers with 8%) to highly respectable 37% for capesize vessels. It needs to be noted that historically, 2001 has been a good year for one to enter the market and the almost twelve years of this scenario include the best shipping cycle known to man. Under the second scenario (TABLE 2), since the beginning of 2006 till present, the same assumptions have been maintained. Returns however under this scenario range from negative returns to barely adequate of 14% again for capesize vessels. In 2006 asset prices had already moved significantly higher than 2001 and since then, there has been ‘the best of times and worst of times’ in terms of freight rates with extreme example in early 2008 capesize and VLCC freight rates at $150,000 pd spot market and negative freight rates in 2009 and 2010 (‘back haul’ to reposition vessels). We acknowledge that our scenarios are rather simplistic by presuming average rates and average financing terms and holding onto the assets, thus excluding any ‘asset play’ (capital gain from asset appreciation) when sometimes where most of the opportunity lies in a highly volatile industry like shipping. Shipping and maritime are rather risky business and the cost of capital (discount rate) has to be rather high. The achieved historic returns really do not justify an investor being aggressive on acquisition pricing or one orderbook. Going back to the newbuilding race, are investors are losing the trees for the forest? The vessels for the ocean? Revisiting Grove’s question, if one was not vested in a company or an asset class or the industry, what would have been the ‘right’ thing to do? 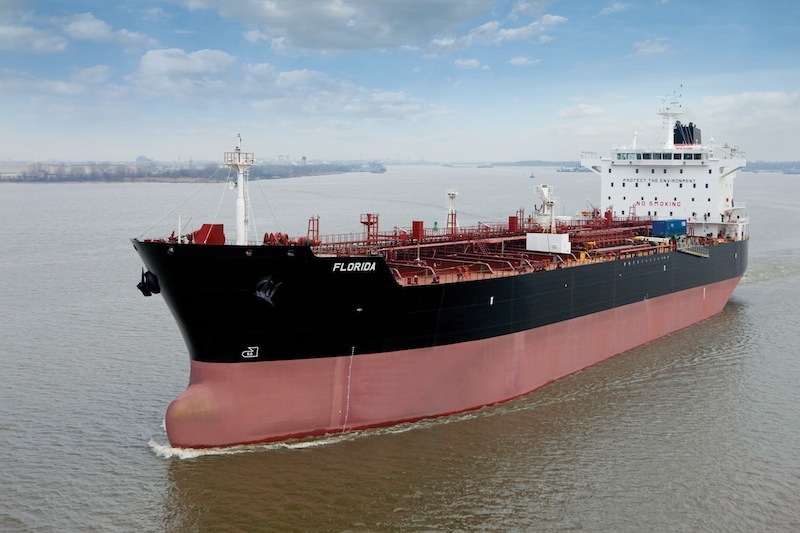 This entry was posted in Shipping Market Economics and tagged Andy Grove, capesize vessel, IRR, orderbook, VLCC on September 12, 2013 by Karatzas Marine Advisors & Co.. The Financial Times recently had a lengthy article in their ‘analysis page’ titled the ‘Clash of the Cape Crusaders.’ People in shipping may be excused for thinking that an international, mainstream business newspaper was dedicating a whole page discussing at length the ‘Cape market.’ In the case of the FT however, ‘Cape’ referred to ‘Cyclically Adjusted Price Earnings’ ratio; according to the way PE is adjusted for cyclicality, the broader US stock market can be either undervalued or overvalued. Based on the same benchmark. Shipping’s capesize market has been experiencing a resurrection recently that has got many industry pundits wondering whether the worst is behind us or just that the recent improvement in this market is a just another ‘false positive’ sign. Thus, shipping’s own cape debate is whether the market is overvalued or undervalued in its own small universe. Not a small question, really. First the good news: in the first ten days of September, average capesize rates moved from about $15,000 pd to $27,00 pd (up 80%), while the Baltic Capesize Index (BCI) climbed about 1,000 points to 3,243 (up 45%) and transport cost by 31% from West Australia to Qingdao (China) at $12.1 / ton and about 18% higher on the Tubarao (Brazil) – Qingdao (China) route to $ 23.5 / ton. Given that this time last year capes, on average, were earning less than $5,000 pd, and that it costs about $8,500 pd in daily operating expenses to run such a vessel, the present rate of $27,000 pd is a most welcome development! In long forgotten days, such rates may have been a cause to pop a champagne bottle. As great the improvement in rates as it has been, we all sort of have seen this story before where rates improved seasonally / temporarily and then deflated rapidly again. However, it seems that the increase in rates this time is driven by end demand and higher production of steel bars in China, which translates into higher demand for iron ore (while quite often in the recent past, increase in freight rates was driven by pure stock piling / replenishing inventories). Bloomberg reported that steel reinforcement-bar futures in Shanghai have climbed to $613 per ton recently, while steel output has increased to 2.12 million tons in late August. These all despite the fact that iron pricing is up about 25% in the last three months at $138 / ton and iron ore stockpiles stand about 22% lower than the year ago. Thus, so far, the news is fairly encouraging, which is most welcome in a market that has been brutally battered by the storms of the weakening word trade and other market dynamic considerations. Now, the bad news: Rio Tinto has announced an earlier than expected iron ore new capacity to 290 million tons (from 230 million tons previously) on an annual basis. This would have been ‘great‘ news, if not that most of this new production and also additional production coming to market by other miners is taking place in West Australia, which is much closer to China than new production in Brazil, which would had absorbed much more tonnage for the transport of same amount of cargo. And more bad news: while in the last three months about six capes per month were entering the market via deliveries from shipbuilders (vs more than 15 deliveries per month in 2012), still more than twice as many capes delivered this year than got scrapped (about 70 deliveries vs 30 scrapings); year-to-date, about 130 newbuildings (plus 30 more options) were ordered. Admittedly it’s tough sourcing rumor from fact on these ‘orders’ and still to be seen how many of these newbuilding vessels will eventually ‘hit the water’, but it’s almost incomprehensible that 10% of the world cape fleet has just been contracted anew in 2013 when on average, year-to-date, average cape freight rates ($10,500 pd) remained just above operating expense levels. The overall cape orderbook stands at about 20% of the world cape fleet (depending on assumptions), while more than 50% of the world cape fleet is newer than five years old. Looking at the forward curve for some guidance, while the physical freight market for capes improved and the paper market (FFAs) moved along to same levels for Q4 2013, the forward curve for the next three years stands sizably lower at about $18,500 (admittedly much higher than the level of $11,500 for CAL14 in early June but nowhere close to level covering cash expenses). This entry was posted in Shipping Market Economics and tagged Baltic Capesize Index, cape, Chinese iron ore imports, cyclically adjusted price eanrings, FFA, iron ore, newbuildings, Qingdao, Rio Tinto, tonnage, tonnage oversupply on September 10, 2013 by Karatzas Marine Advisors & Co..